If one is planning to buy a modern Multipurpose Pressure Cooker, then one must buy the accessories also along with the cooker in order to try out ample of variations in one single pot that is the pressure cooker. With the invention of these accessories it has become possible to prepare diverse delicacies in the instant pot without wasting time and money on other cookware. Some of the accessories are the steamer baskets, trivets, ramekins, pudding bowls, gasket, baking moulds, etc. 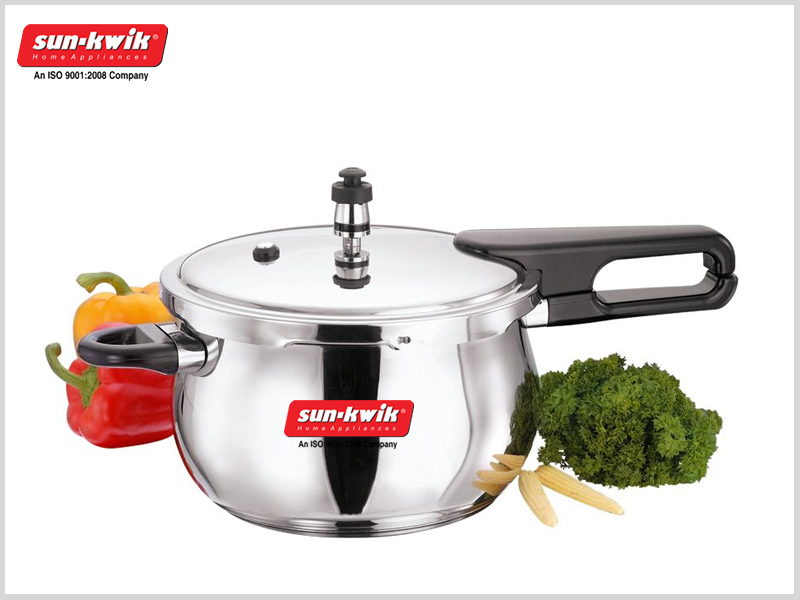 The stainless steamer is the pressure cooker accessory that is used widely by many to prepare steamed dishes. Steamed recipes are perfect for any time and are healthy. It keeps all vegetables above the water level. For example, when making steamed dishes using potatoes, the steamer placed inside the cooker keeps the potatoes above the level of the water when preparing recipes like potato salad, chunky potato cheese soup, Cheesy Potatoes Au Gratin, etc. This keeps the potatoes chunky and firm yet tender. It’s really great to make cheesecake in a pressure cooker. The cheesecakes made in the instant pot are ultra smooth and creamy in texture. These sweet delectable dish are made in the baking moulds or regular ovenproof bowls lined with the parchment paper. The moulds are greased with a little oil spray or butter before the cheesecake layers are put in it or before the cake batter is poured. Nothing can be better than getting a delicious cheesecake in front within a couple of minutes. Continental dishes like lasagna can also be prepared in these type of bowls inside a pressure cooker. All that is needed to do is to check out the full recipe in the internet for getting a perfect cheesecake ready for your family members. Another pleasurable pressure-cooking accessory that is used broadly by many is a 6 Cup Bundt Pan. One must try out the Steamed Carrot Pudding Cake and the Pumpkin Chocolate Chip Bundt Cake using the pan in the pressure cooker. Even for preparing the cheesecake crusts, this small fox run temper tool acts as the time saver. The accessory performs amazingly to make the firm base of the luscious cheesecake. Try out the chocolate graham cracker as the base of your cheesecake. The custard cups or the ramekins are used for making flan and the Creme Brulee in the cooker. One can also use this accessory for making egg muffins for the breakfast. An additional rack has to be placed to layer up more number of cups in the cooker for making more muffins at a time. The gasket or the silicon ring is an indispensable part of a modern pressure cooker. This accessory absorbs the odors as one cooks. Many people prefer to opt for a second gasket for making desserts and the other serene tasting foods in the pressure cooker. These accessories and the latest models of pressure cookers can be also used as storage containers. Exploring the online range of Pressure Cooker Accessories India can prove to be a better option to get these at reduced prices and without rushing to the market.